Most everyone is familiar with rayon. Fewer people are familiar with modal and lyocell. All three are called “cellulosic fibers, ” since the natural material that makes up the fiber is cellulose, a component of all plants. The cellulose is often derived from wood pulp, which has an average cellulose content of forty percent, and sometimes from bamboo. Hence, these fibers are often referred to (and sometimes marketed as) "environmentally friendly." Before answering the question in the title of this article, I’ll explain these fibers and their properties. I will also refer to the practices of one company – Lenzing AG of Germany – an innovative leader in fiber development and environmental protection. Lenzing manufactures more cellulosic fiber from trees than any other company in the world and has been producing rayon/viscose, the first generation cellulose fiber, since 1938. Rayon is known by the names viscose rayon and art silk (abbreviated from “artificial silk”) in the textile industry. It usually has a high luster quality, giving it a bright shine. Modal is the second generation and is known for its softness. Lyocell is third generation technology. Its advantages include the environmental friendliness of its processing combined with its softness, drape and anti-bacterial properties. You may be familiar with the term Tencel®, which is Lenzing’s brand name for lyocell. Although they are manufactured fibers, rayon, modal and lyocell are not considered synthetic. All three are referred to generically as “regenerated cellulosic fibers” due to the manner in which they’re manufactured. Nor are they natural fibers produced directly from plants or animals. However, their properties and characteristics are more similar to those of natural cellulosic fibers, such as cotton, flax (linen), hemp and jute, than those of petroleum-based synthetic fibers such as nylon or polyester. They may be called “semi-synthetic fibers” to reflect the combination of the natural raw cellulosic material and the chemical manufacturing process that breaks down the cellulose so it can be “regenerated” into a fiber from the original pulp. Rayon is a very versatile fiber with a wide array of applications. It has the same comfort properties as natural fibers and is easily dyed in a wide range of colors. Rayon is breathable and does not insulate body heat, making it ideal for use in clothing worn in hot and humid climates. Rayon is more moisture absorbent than cotton and does not build up static electricity; nor will it pill unless the fabric is made from short, low-twist yarns. It is comfortable, soft to the skin and has moderate dry strength and abrasion resistance. Like other cellulosic fibers, it is not resilient, which means that it will wrinkle. Rayon withstands ironing temperatures slightly less than those of cotton. It may be attacked by silverfish and termites, but generally resists insect damage. Rayon was the first manufactured (regenerated) fiber, dating back to about 1855. The first patent for “artificial silk” was registered in 1894, the first U.S. commercial production occurred in 1910 and the term rayon was officially adopted in 1924. There are many different processes for manufacturing rayon, varying among the chemicals used and their subsequent impact on the environment. Basically, the production of rayon (which also applies to modal and lyocell) chemically converts purified cellulose into a soluble compound. The solution is passed through a spinneret (similar to the holes in a showerhead) to form soft filaments that are then converted or “regenerated” into almost pure cellulose. Much of the commercial rayon manufacturing utilizes the “viscose” process, in which the purified cellulose is converted to xanthate, the xanthate dissolved in dilute caustic soda and the cellulose regenerated from the product as it emerges from the spinneret. Rayon fabrics have different strength and stretch characteristics created by adjusting the drawing process applied in spinning. “Regular rayon” has the largest market share. Typically found in apparel and home furnishings, it is identified on labels as “rayon” or “viscose.” Its distinguishing property is its low wet strength. As a result, it becomes unstable and may stretch or shrink when wet. Dry cleaning is usually recommended because untreated regular rayon can shrink as much as ten percent when machine washed. Formaldehyde-free finishes are sometimes applied to make viscose rayon fabrics washable and limit shrinkage to three percent. Other types of rayon have been developed for specialized end uses. These include high tenacity rayon, which is primarily found in tire cord and industrial end uses, and high-absorption rayon fibers with moisture-holding properties for disposable diapers, hygiene and incontinence pads, as well as medical supplies. One of rayon’s strengths is its versatility and ability to blend easily with many fibers. The desire to create a higher wet strength rayon led to the development of modal as the second generation of this cellulosic fiber. Modal is a “high wet modulus” rayon, which has virtually the same properties as regular rayon plus high wet strength and extra softness, making it especially useful for body contact clothing such as lingerie and undergarments. Modal is wear resistant and can be machine washed and tumble dried without shrinking or getting pulled out of shape. It performs much like cotton and can be mercerized for increased strength and luster. Modal is about fifty percent more water-absorbent per unit volume than cotton. It’s designed to dye just like cotton and is color-fast when washed in warm water. Textiles made from modal are resistant to shrinkage, fading and graying. Modal fibers have found a wide variety of uses in clothing, outerwear, and household furnishings. They are often blended with cotton, wool or synthetic fibers, and take and retain dyes well. 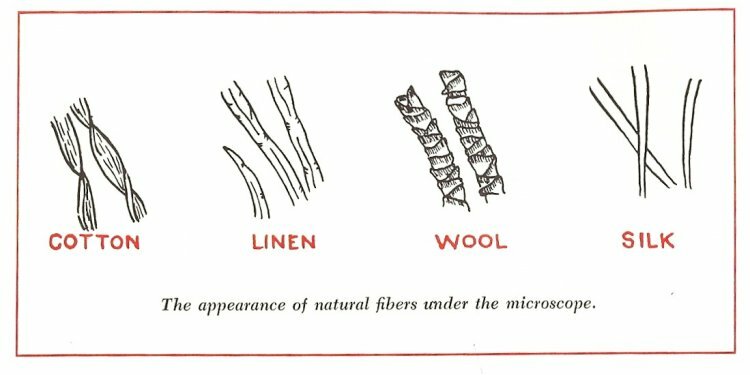 Modal fibers were developed in Japan in 1951 and Lenzing started selling its version of them in 1964. Lenzing Modal® is made from sustainably harvested beech trees and the company uses an environmentally friendly bleaching method for pulp.